Senior Minister of State and Holland-Bukit Timah GRC grassroots adviser Sim Ann will visit Watten Estate on Tuesday (May 24) evening, and remind residents to take necessary measures to prevent the Aedes mosquito from breeding. Her visit comes ahead of the June school holidays, when many are expected to travel. The first Zika patient here lives in Watten Estate, while June to October is typically when the number of dengue cases peaks. Both diseases are transmitted by the Aedes mosquito. Housing and manufacturing data from the United States will be released today (May 24), as investors search for more clues to a potential rate hike next month. More positive news could push the US Federal Reserve into raising interest rates for the first time since last December, when it was raised after nearly a decade. 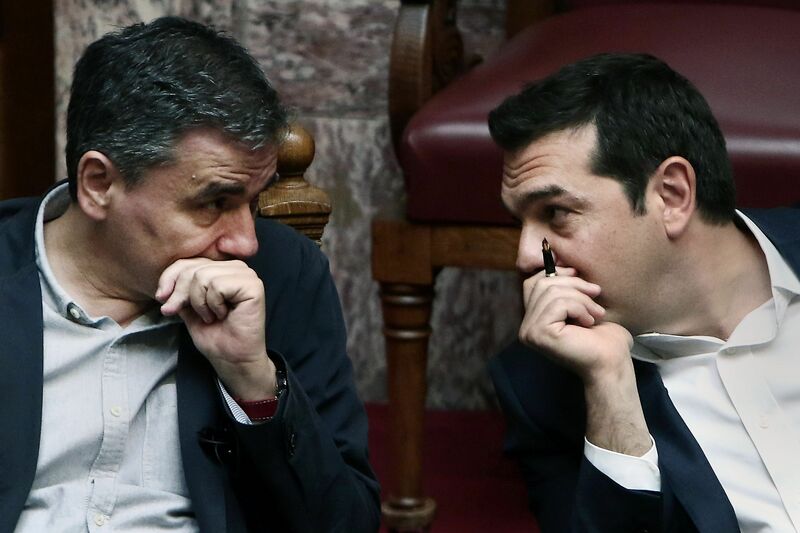 Greek Prime Minister Alexis Tsipras (right) speaks with Greek Finance Minister Euclid Tsakalotos during a parliamentary session in Athens, on May 22, 2016. Eurozone finance ministers are set to discuss easing Greece's debt burden and disbursing the next round of funds at a closely watched Eurogroup meeting in Brussels today (May 24). Greece urgently needs the next tranche of bailout money to repay big loans to the European Central Bank (ECB) and IMF in July, and has already fallen behind in paying for everyday government duties and public sector wages.